The untold story of how John Ramsey survived unspeakable tragedy and learned to hope again. Like the biblical Job, John Ramsey had it all-wealthy, social position, a loving family. And like Job, Ramsey was destined for great affliction, as many of the most precious things in his life were cruelly taken from him. First came the death of his eldest daughter in a car accident in 1992. Then, four years later, his beloved six-year-old, JonBenet, was murdered; Ramsey was the one who discovered her body, concealed in the basement of his family's home. The case drew international media attention, and-compounding Ramsey's woe-suspicion unfairly focused on Ramsey and his wife, Patsy. Although they were ultimately cleared of any connection with the crime, Ramsey's sorrows did not end. In 2006, Patsy died, at 49, of ovarian cancer. 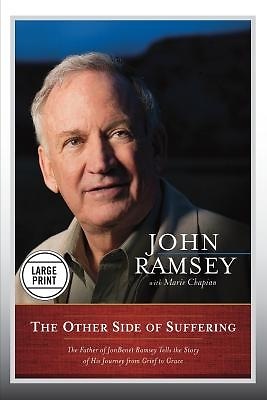 In this remarkable book, Ramsey reveals how he was sustained by faith during the long period of spiritual darkness, and he offers hope and encouragement to others who suffer tragedy and injustice.